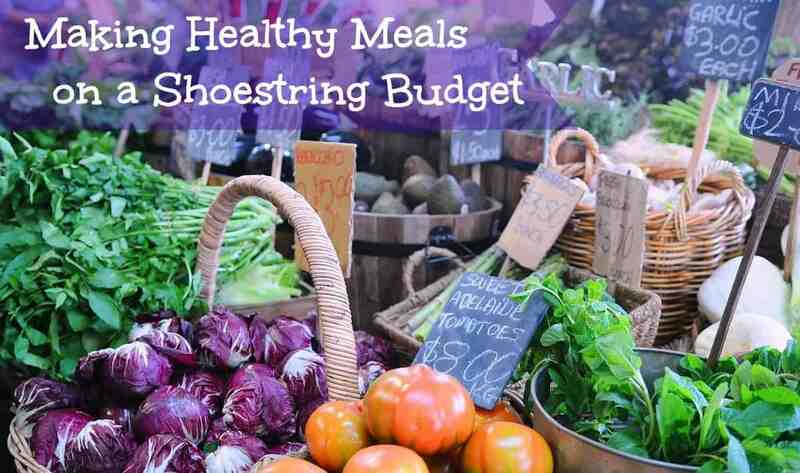 You can plan healthy meals on a budget, saving money and eating right, too. With a little planning and wise shopping, you can feed your family well, using less money. Some people classify food as “healthy” if it once saw sunlight. If it grew in the ground, it is a vegetable, and therefore healthy. Others see “healthy” food as organic, non-dairy, or low gluten. Whatever your idea of healthy, there are ways to get those groceries for a bargain. 1. Co-ops. Just about every community has a food co-op or buying club. The Co-op Directory, and others like it, will group like-minded individuals who put bulk orders together for great discounts. You can also check with local health food stores for information on co-ops. These stores, themselves, will have sales on items that you need for your diet. 2. Amazon, MyBrands, ShopFoodEx, and other websites feature budget items for many of the healthy foods that seem to be overpriced at the grocery store. Surprisingly, cooking healthy on a budget often can mean shopping online to get the best prices. Check for minimum order limits, taxes, and shipping charges. Generally, you will save money ordering from these sites rather than shopping at the grocery store. If you do not require organic foods or other specialty food items, you can save a lot of money by buying the store brand. This is a trial and error type of thing. For example, a “name brand” such as Del Monte corn kernels may be delicious, but the store brand may have bits of the cob in the can. On the other hand, many store brands are just as good as their more expensive counterparts. Another way to feed your family for less is to buy partially-processed foods, rather than raw. Canned and frozen vegetables and fruits are still loaded with nutritional value and fiber, but cost less than the raw produce. How many times have you forgotten about the ears of corn that got shoved behind the eggs in the fridge? 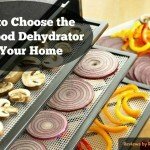 If you are good about preparing the vegetables in advance, you may not have this problem, but many of us end up throwing out rotted produce, despite our good resolutions when we bought it. One of the first things you may notice when you start grocery shopping on a budget is the outrageous price for convenience. In general, the more processed a food is, the more expensive it is. It is also less healthy and probably contains MSG. If you like the convenience of frozen dinners, then prepare them yourself. 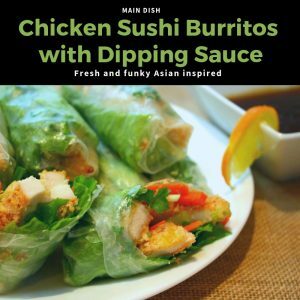 There are many healthy easy dinner recipes out there to help with ideas. 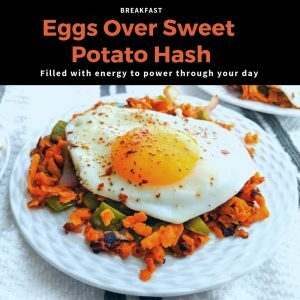 Loving My Nest, Baked in the South, and A Turtles Life For Me among others, are sites that provide you with a menu, grocery list, and instructions for packaging from 35 to 45 meals for around $100. 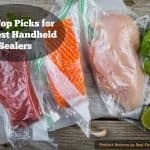 Most of these recipes require one afternoon of work in the kitchen, washing, chopping, boiling, and otherwise prepping the recipes, and then packaging them for the freezer. The end result of these healthy, simple recipes is that you can feed the whole family for about $3 a meal. And, you get all of these cheap healthy dinners done in just one day. Compare that to a Bertolli’s frozen meal. For two people, the bag will cost about $8. A family of four will eat two bags, making this frozen dinner cost $16. 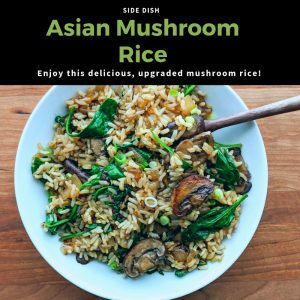 Here is an example of healthy dinners on a budget that you will find on these above-mentioned websites. 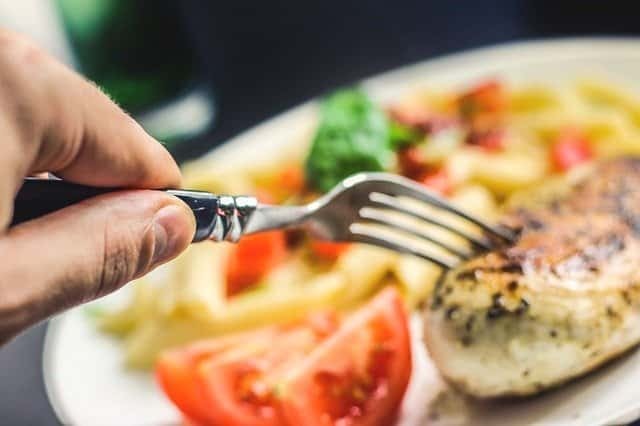 These websites also give valuable pointers for the preparation of these meals ahead of time, and shopping suggestions for getting the best value for your money. So often, we ruin our budget and our waistline with snacking. That candy bar at the checkout counter is just too much to resist, or the bag of chips at the gas station is calling your name. How can you still satisfy your craving for snacks without blowing the budget or your diet? 1. Sweet Potato Fries: These are sweet potatoes cut in one-inch strips and tossed in olive oil, chili powder, and salt. When cooked at 425 degrees for about 25 minutes, you have a delicious snack that adults and children will love. 2. Popcorn: This is a favorite around my house. Take ordinary popcorn – for added health benefits, leave off the butter, and flavor it with seasonings. The health food store, for example, sells cheddar powder. We make our own cheesy popcorn with cheddar powder. Mix in a little chili powder for some spice. Seasoned salt, garlic powder, or a mixture of sugar and salt can also add some variety to this great source of fiber. 3. Cinnamon Apples: Slice and peel some Granny Smith apples, sprinkle them with some cinnamon and nutmeg, and add just a little bit of brown sugar. Microwave the whole lot for a few minutes, and you have a great snack or dessert. Some people like to add raisins, for added health benefits. 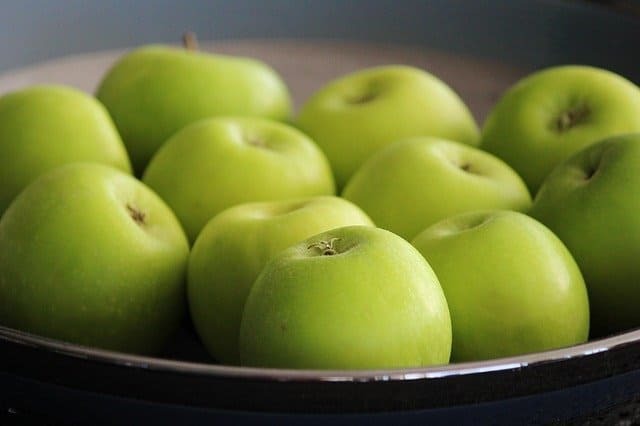 Granny Smith apples with a bit of cinnamon is a healthy snack. Planning and preparing healthy meals on a budget can improve the quality of your diet. By avoiding heavily processed foods and increasing vegetable intake, you and your family will eat better for less money.